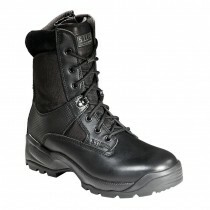 5.11 Tactical is the industry leading US brand, with an excellent reputation for being innovators in products that enhance the safety, accuracy, speed and performance of law enforcement, military and firefighting professionals ... and now it's over here! 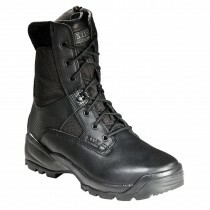 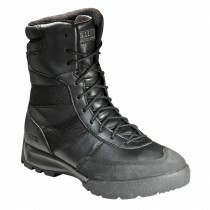 5.11 Tactical duty boots are uniquely designed to have a "running shoe" feel to the foot, but with the durability of a combat boot for long and continued use. 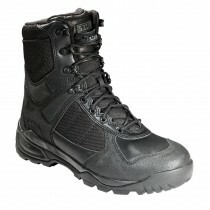 All 5.11 patrol boots feature 5.11's famous Shock Mitigation System as standard, from the most popular and supremely durable 5.11 ATAC Side Zip patrol boot to the ultra tactical and feature-loaded 5.11 XPRT and 5.11 HRT (Hostage Rescue Team) tactical boots.